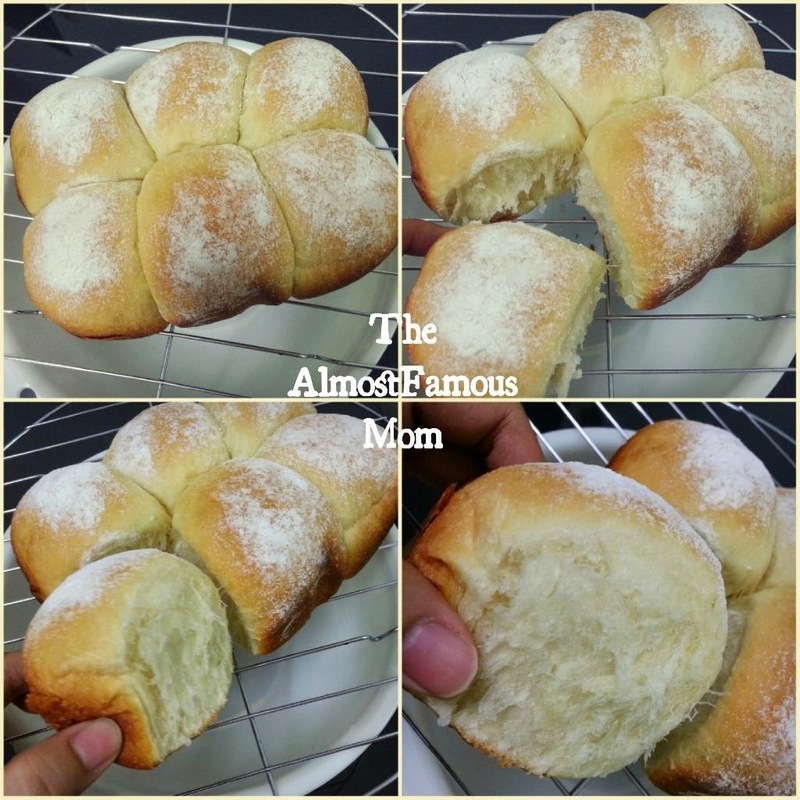 Finished baking these buns at 3.30am...yes you READ me right! My darling boy is down with flu and fever so I can only start my baking-in-action after he goes to bed. Well, it is all worth it because this morning my 15 months old darling boy said "Good" after eating almost a whole bun by himself. 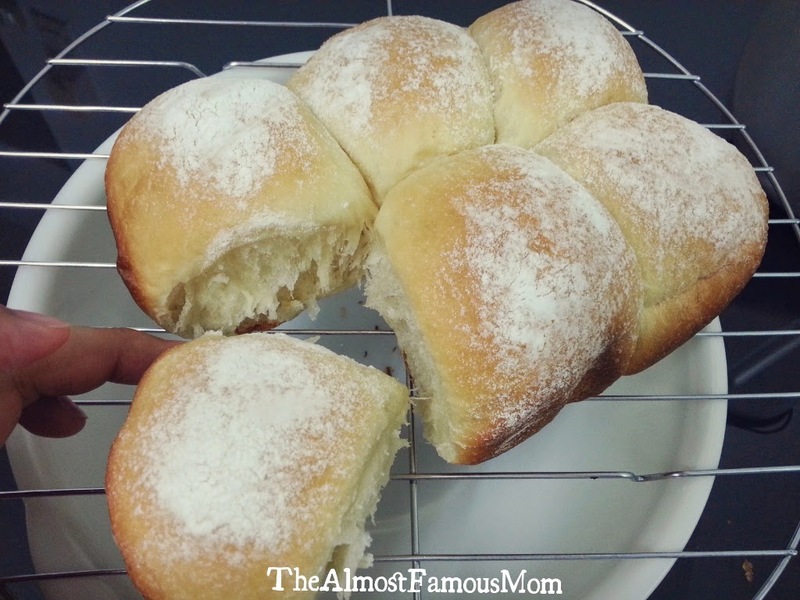 These are called the Sweet Milk Buns but not to worry as they are not really that sweet! Having a husband that is very conscious of SUGAR in his food so most of my cooking/baking will be "just nice" when it comes to using sugar! As a proud owner of Tesco Bread Maker, I have modified the recipe so that it can be baked in the bread maker. Put all the ingredients and run on Dough Mode till it ends. Place the dough on a pastry mat or work surface. Punch it to let the air out. The dough will be sticky so don't panic! Flour the dough lightly for easier kneading. Shape into balls. Pull the sides and tuck underneath (repeat a few times) until you get a smooth top. Pinch to seal at the bottom. Place the balls in the bread maker pan and leave some gap in between the dough for second round of proofing. Once it is done proofing, sieve some flour onto the buns. Then place the pan back into the bread maker and run it on Bake mode. 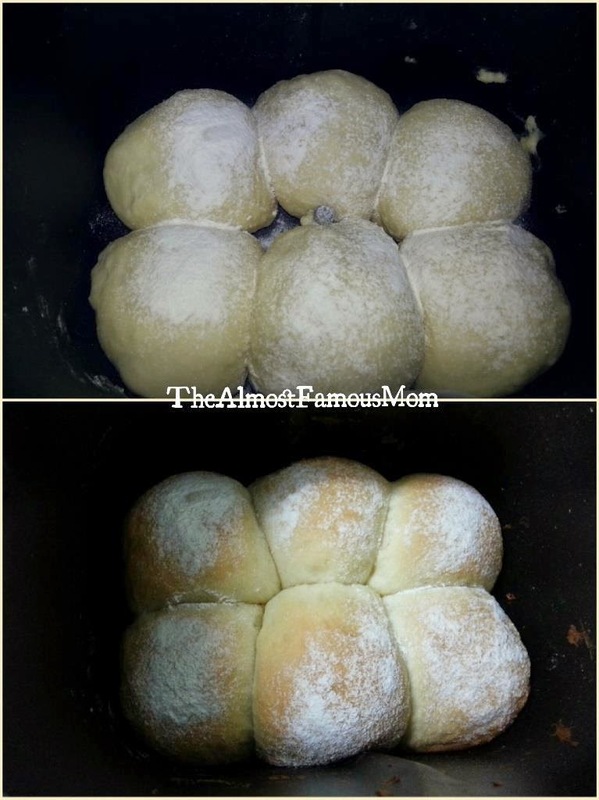 The tops of the buns should be slightly brown when it is ready. Remove the buns from the pan immediately (you can use baking paper to line the bottom of the pan for easier lifting) and place on a wire rack to cool.